Join us for the 32nd Annual MedExpress Kids Day and enjoy free family fun! 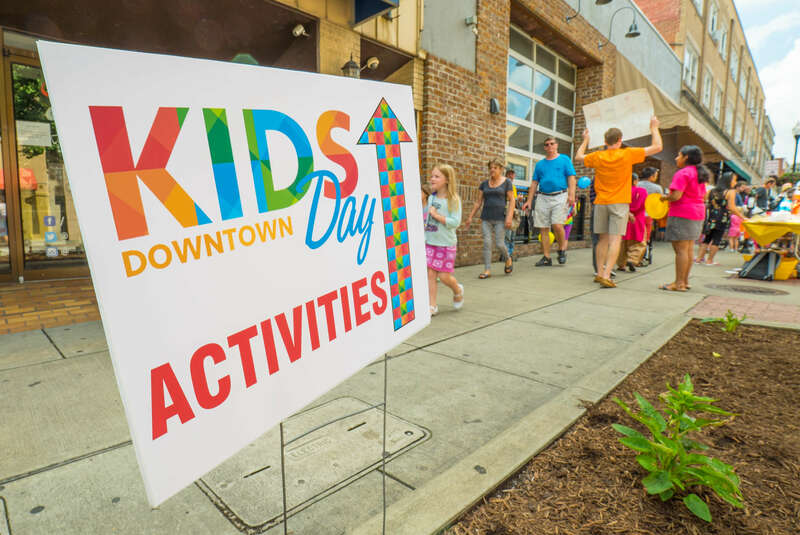 From 10am – 2pm kids will take over the downtown with more than 60 scheduled events. Kids of all ages will learn about safety, play games, receive free goodies from area businesses, make crafts, and play in the giant sand box. Enjoy live entertainment, trolley display and more. So kids, the only place to be on Saturday, July 21, 2018 is Downtown Morgantown for MedExpress Kids Day. Information booths will be stationed at Dairy Queen (444 High Street)at Citizens Bank (265 High Street). First aid kits will also be located at the information booths.